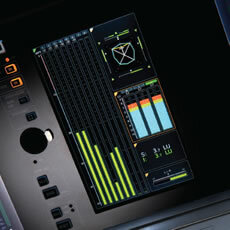 Marking an enormous step forward in large-scale mixing console technology for broadcast applications, the Vista X, together with the Studer Infinity Core, offers an unsurpassed intuitive user interface, retaining the patented Vistonics and FaderGlow user interface, providing control of 800 or more audio DSP channels and more than 5,000 inputs and outputs. The Vista X is available in 32, 42, 52, 62, and 72-fader versions, so you can select the size and options that fit your specific needs. Big productions demand a lot of processing muscle. The new Studer Infinity Core delivers an unprecedented 800+ audio channels with superb sonic quality, and more than 5000 inputs and outputs. And the use of CPU-based processors suggests exciting possibilities for scaling up to even larger channel counts, and for running third party algorithms. language or multi-format productions to be undertaken with ease. A revolutionary approach to stress-free mixing. 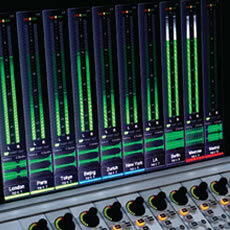 Vista mixing engineers are freed from the burden of complex mental mapping necessitated by the process of digital audio mixing using a central screen. Studer’s revolutionary Vistonics™ interface builds Vista X’s rotary controls and buttons directly into the flat screen displays which provide visual feedback. 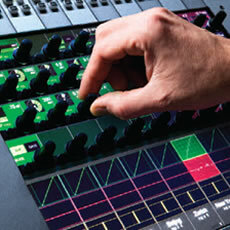 Each audio function is always associated with the same colour – red for EQ and filters, green for dynamics, and so on. 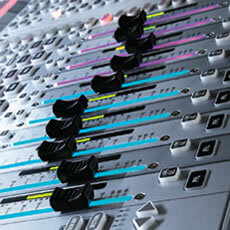 Another Studer innovation, FaderGlow™, combines with assignable channel naming to further reduce stress by illuminating each fader in the colour relating to the relevant function, creating an instant overview of console status. The Vista X control surface displays everything you need to see in a format you can readily comprehend. There’s a large scale bargraph meter for every channel from mono to surround, plus a history display of the last 50 seconds of audio to capture those annoying clicks and overloads so hard to find in a multi-mic live show. Studer’s AutoTouch Plus Dynamic Automation System allows the most complex automation tasks to be carried out within a clear and logical workflow while EMBER support provides seamless integration with broadcast and newsroom automation systems. Vista X exists for pain free live production, with dedicated controls for extensive snapshot filtering, buttons for talkback and user-programmable functions, configurable matrix busses, dedicated mute groups and stress free outside source management. 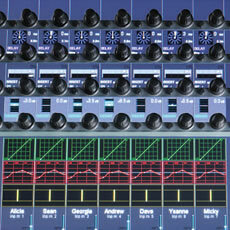 Vista X interfaces with all major DAW systems. Many DAW functions can be directly controlled on the console, where innovative operating concepts such as StripSetup and Ganging bring DAW integration to a new level and greatly enhance the production workflow. Vista X makes it easy to acquire and manage multichannel audio sources while Virtual Surround Panning (VSP II) empowers the operator to take mono sources and create a realistic sound field (stereo up to 7.1) modelled around a few simple parameters. Key parameters can be adjusted directly via touch on the Vistonics screen without the need to spill single mono or stereo channels to additional faders. 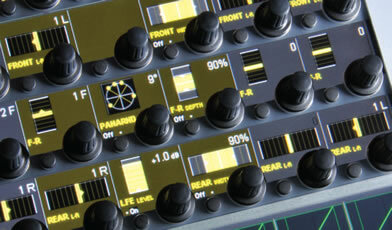 **WAM Pacific is the exclusive Philppines distributor of STUDER.